Welp, I was expecting to make this update a bit more exciting, but sadly it was hard to complete everything in time, so I will release these things during next month, I hope. Had to design the cover for this update myself, since Carbongo, the one who made that awesome Christmas update design vanished into thin air. No clue what happened there. All I know is he's mad at me for some reason. I hope he at least tells me what the issue was. The map took quite some time to work on. It took a long time for me to adjust the environment for the map as well as the weather effects. Hopefully it runs well on low-end PC's! Fixed a case where you could buy a unit too early due the way the resource accumulation worked. 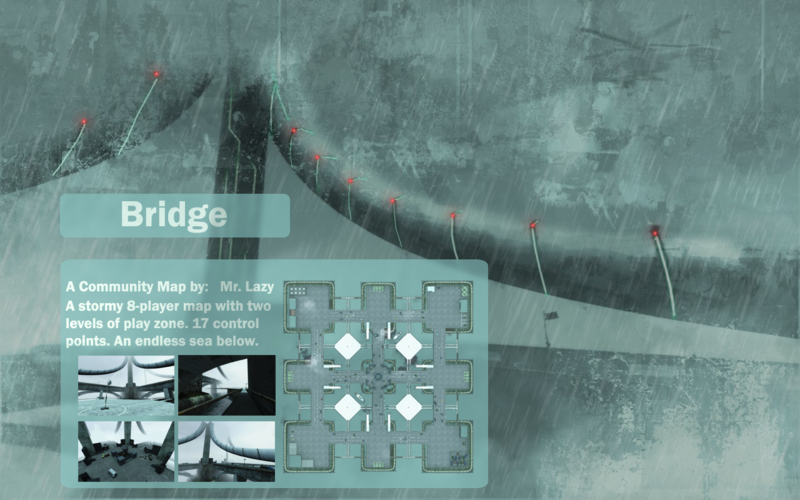 P.S: There will be an overrun version of hlw_bridge down the road. P.S.2: Expect issues with the update. They never come without an issue.